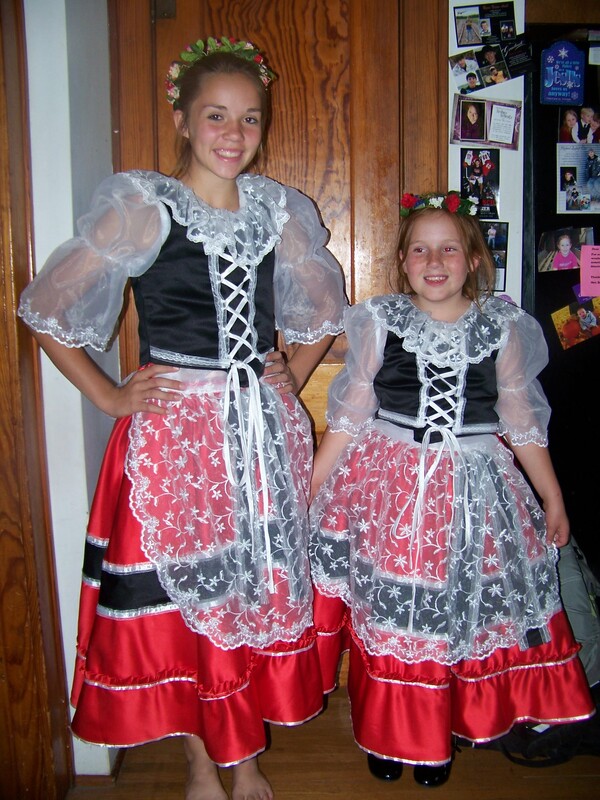 This satin 4 piece outfit will be worn for Czech Days in Tabor, SD. They look great. They are very nice. Thank you for all your help and look forward to you helping us in the future! The Czech woman's clothing is a white blouse with very full collar. 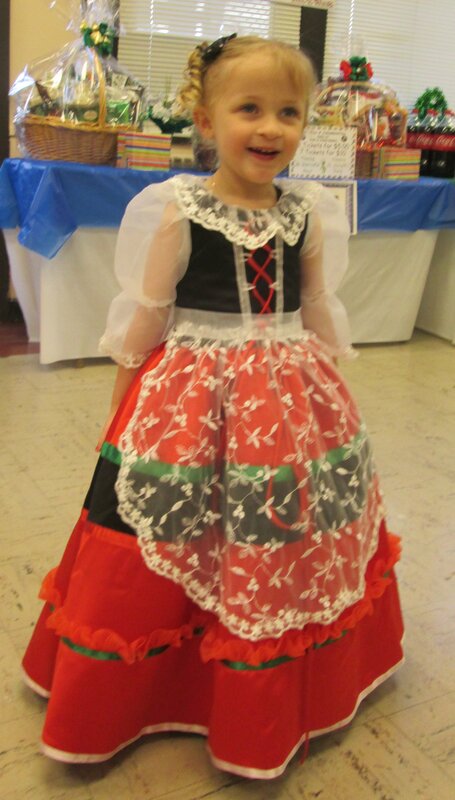 The skirt is a red and black design. 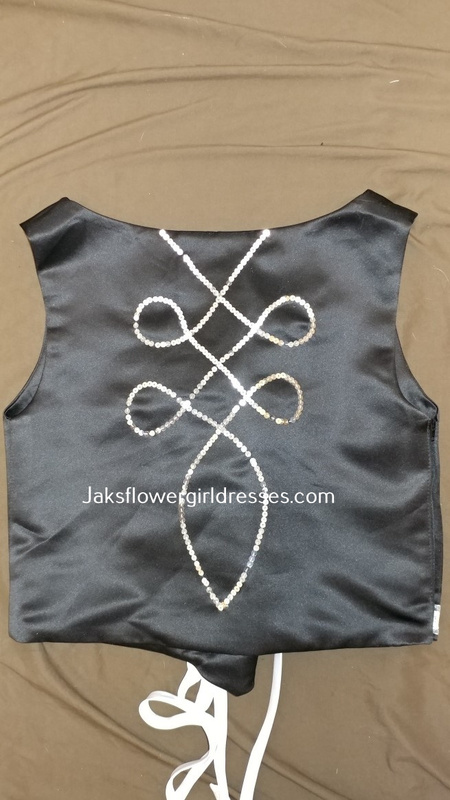 The bodice vest is black. 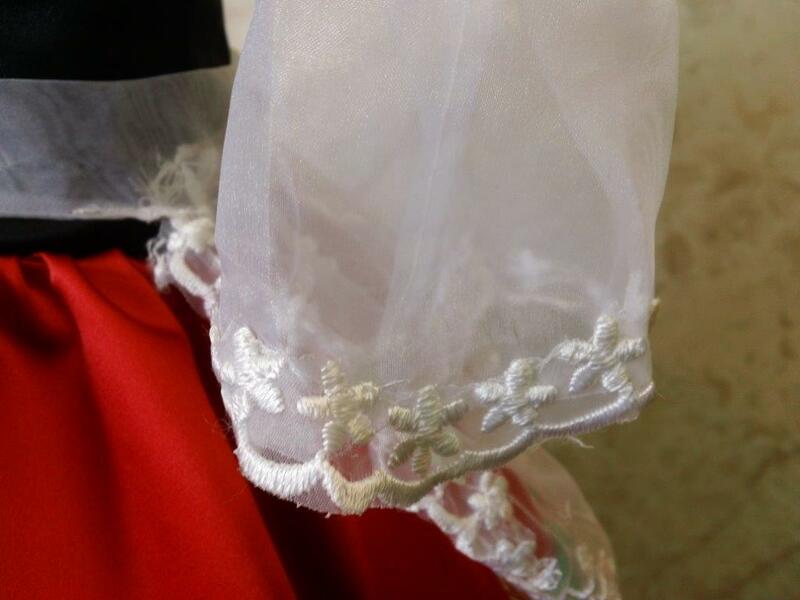 The white lace apron is tied with a Sash. 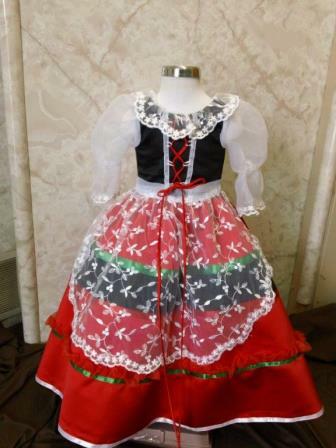 Czech traditional costumes are often beautifully embroidered. 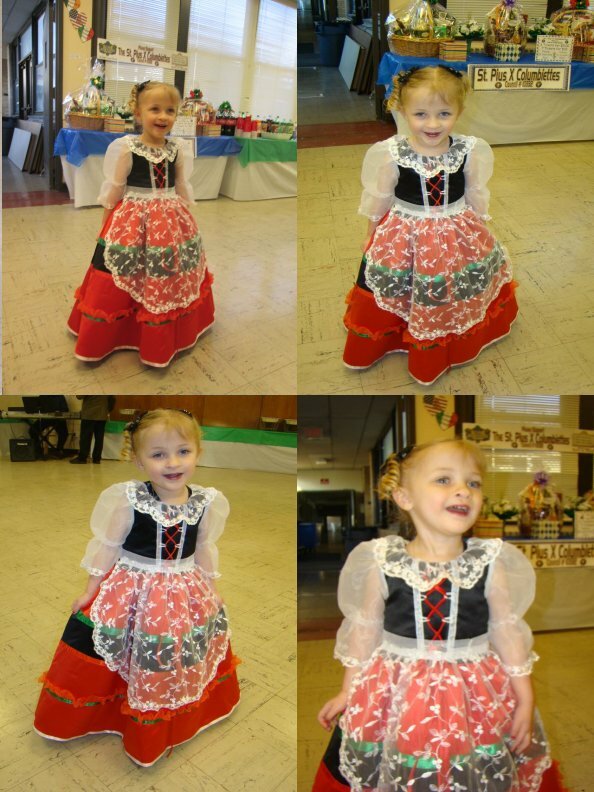 Because so many regions of the Czech Republic have their own traditional folk costumes, it is difficult to generalize what represents typical Czech dress. This is a special order. Please measure carefully. czech outfit delivery is 8 weeks. Refer to our Pageant Girl Dress Size Chart before ordering.